With its Art Nouveau architecture, romantic cafes and spa baths, Budapest is a wonderful destination at any time of the year. Walk across the Széchenyi Chain Bridge to enjoy the best views of the Danube. The medieval Old Town of Vilnius is home to the cathedral and the lakeside castle of Trakai. Lithuanian cuisine is excellent and calorific, so walk it off with a wander around Uzupis, Vilnius’s equivalent of Montmartre, with galleries, cafes and workshops. 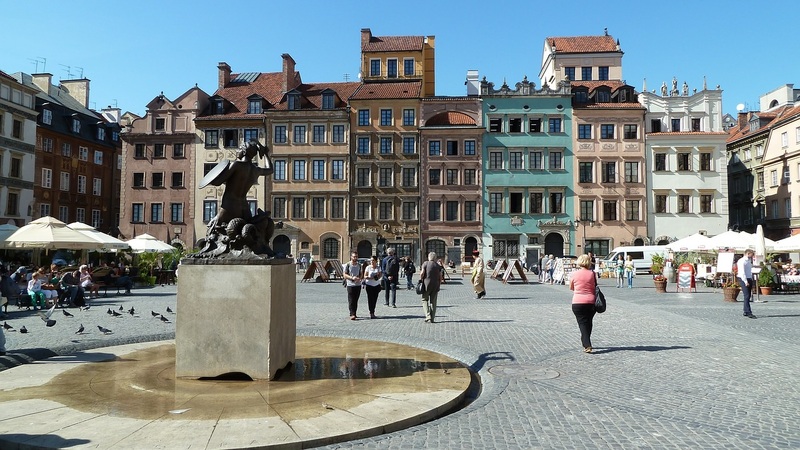 Warsaw’s lively nightlife and fascinating Old Town make it a great place for a cheap break. Don’t miss the National Theatre, the Chopin Museum and the many memorials to the city’s wartime history. Must-sees in Prague include the Art Deco architecture of the shopping arcades by Wenceslas Square. The Prague card covers entry to over 50 attractions, such as the Astronomical Clock, the Jewish Cemetery and Prague Castle. In winter, the climate is balmy and although summer temperatures may soar, it is only 20 minutes drive to cool off at the beach. Must-sees: the Mosteiro dos Jerónimos and the 9th-century Castelo São Jorge. Riga stands at the crossroads between east and west. Its lively nightlife makes it popular with stag and hen parties, and it offers visitors a dazzling variety of cuisines. Riga is surrounded by water, with the sea on one side and many lakes on the other. Hotels in Tallin are excellent value and the food is perfect for visitors with hearty appetites. Tallin was the European City of Culture in 2014 and is renowned for its music and film festivals, which are among the best in Eastern Europe. For many holidaymakers, the highlight of Dubrovnik is the 2km walk around the town’s ancient walls that offers views over rooftops, countryside and sea. Don’t miss a ride in the cable car to the top of Mount Srdj, or try sea-kayaking around the coast. Istanbul is home to unique historical treasures such as the Blue Mosque and the Topkapi Palace, home of the Ottoman emperors. Take a Bosphorus tour to experience the beautiful views from the water. Enjoy traditional street food such as kebabs and don’t forget to treat yourself to some authentic Turkish delight! Beer, moules, frites and chocolate are sure to play their part in your visit but don’t miss taking in a little culture. The Brussels card gives entry to a wide range of attractions, including the Magritte Museum and the Chocolate Museum.